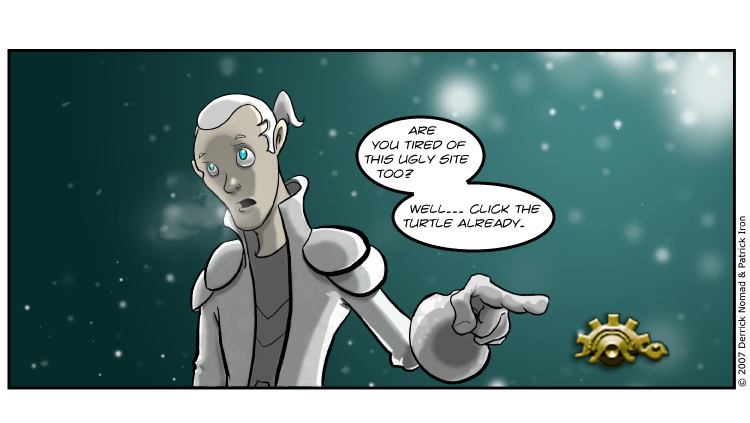 The Gear Trick is not just a Guild Wars comic: it's also a guild. It aspires to become the "comic" guild that helps new players. We are really starting to create a fun experience in the game that is unique to The Gear Trick, and we hope to spread that fun. If you think you would be right for GEAR -come join us. Or you could always just say hi. You can find the same characters that are in the comics -in game. NEWS: 11/08/07 We've moved! click on the image above to go to the new site.